Two different tourists in Iceland were stopped by police last week for being drunk. But they were as sober as a judge. The drivers said they were hypnotised by the show being put on by the Northern Lights, and that it was the aurora borealis, not alcohol, that was causing them to swerve recklessly across the highway, according to Iceland Magazine. The police pulled two cars over last week after they swerved between lanes on the road that leads to Keflavik Airport. One driver was on his way to the airport when police stopped his car. The driver said that when the Northern Lights came into view, he couldn’t keep his eyes on the road. 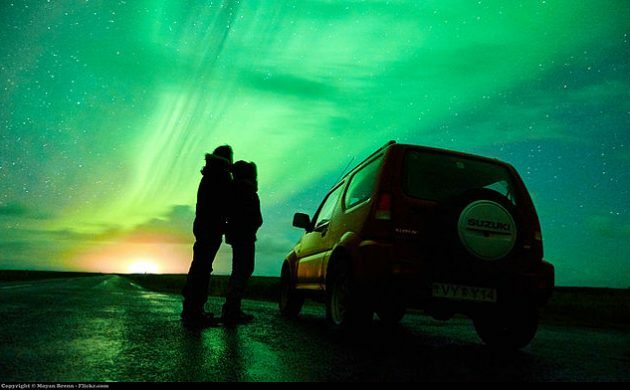 Icelandic police advised both drivers to either find a safe place where they could watch the lights, or keep their eyes on the road.